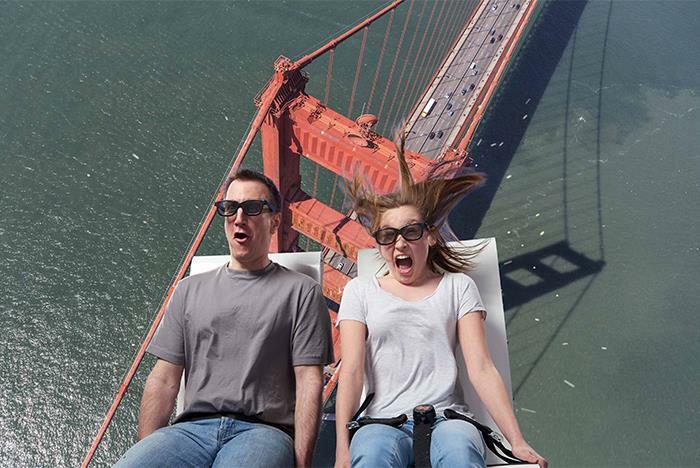 Fly over San Francisco in this live-action, motion simulator ride. The Flyer combines computer-generated imagery with stunning special effects to simulate the feeling of flying. You’ll zoom through the angles of Lombard Street and soar high over the Golden Gate Bridge, all from the second level of Pier 39 above Hard Rock Cafe. Sit back, relax, and get ready to fly through San Francisco. Open from 10:00 am to 8:00 pm. The show lasts about 20 minutes, including the pre-show. Features visuals of notable San Francisco landmarks and neighborhoods. 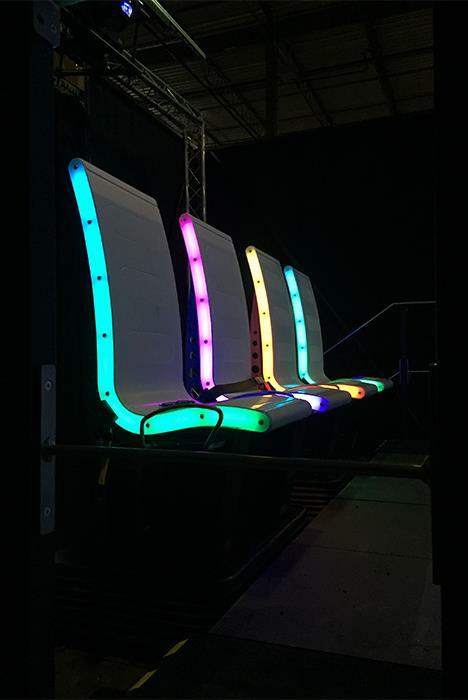 The Flyer—San Francisco combines motion seats, live-action, and computer-generated 3D imagery to simulate flight, and in-theater special effects create a sweeping experience for all your senses! Launch over the Golden Gate Bridge, barrel down Coit Tower, zoom through Lombard Street and Chinatown, and soar through the Redwood National Forest. Located on the second level of historic PIER 39, above the Hard Rock Cafe. 10:00 am - 8:00 pm, 365 days a year. Have you been to The FLYER San Francisco? Share your knowledge and be the first to review this. What is the minimum height to ride The Flyer – San Francisco? You must be 40” or taller to ride. I am, or might be, pregnant. Can I ride The Flyer? We do not recommend you ride if you’re pregnant, but any seat is adjustable to restrict motion if needed. You can ride The Flyer—San Francisco at any age as long as the minimum height requirements are met. 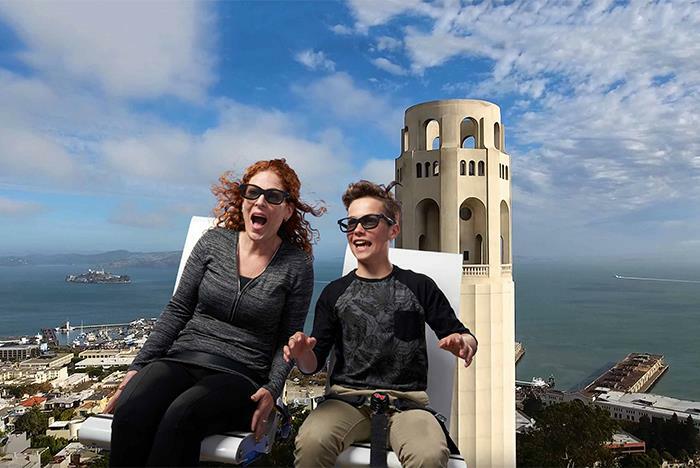 Can my child ride The Flyer – San Francisco without me? Yes, children are welcome to ride on their own. Is The Flyer – San Francisco safe for someone with a medical condition? We do not recommend riding The Flyer-San Francisco with a heart condition, epilepsy, or other severe medical conditions. I experience motion sickness. Can I ride The Flyer – San Francisco? Is The Flyer – San Francisco handicap accessible? Yes. Those who are unable to transfer from a wheelchair may still experience The Flyer—San Francisco’s 3D video without the motion seat. The theater is located on the second level above the Hard Rock Cafe and is accessible by elevators.